Our inaugural Upper School Read was an experiment that proved to be quite a success. Students spent the day exploring the thorniest scientific problem of the eighteenth century: how to determine longitude. Many thousands of lives had been lost at sea over the centuries due to the inability to determine an east-west position. 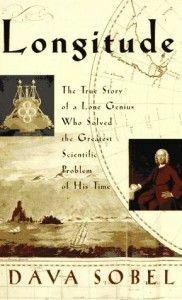 We just knew that this engrossing story of the clockmaker, John "Longitude" Harrison, who solved the problem that Newton and Galileo had failed to conquer, would provide a great opportunity for intellectual engagement and collaboration.